Chairman Pakistan Peoples Party Bilawal Bhutto Zardari has said the country cannot afford the politics of invective, adding the party does not feel threatened by the puppet alliances. 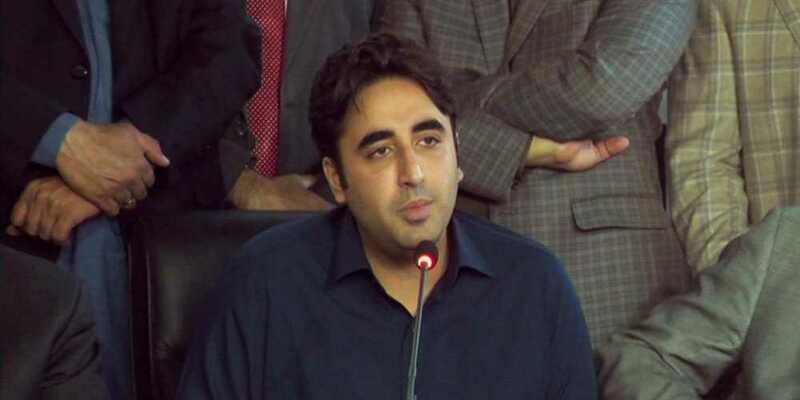 Addressing a news conference in Islamabad, Bilawal said that the workers' passion will manifest itself on July 25 and that the PPP is only focused on the party manifesto and people's problems. The PPP chief further said that his is the only party capable of solving the myriad problems facing the country. In a resolute tone, Bilawal said that he has embarked on a long journey and is not afraid of hard work, adding that the public accepts the PPP's ideology. Regarding controversial statements from politicians, the PPP chief said the politics of invective is not in the country's interest, adding that the party does not feel intimidated by the puppet coalition. "We have always faced the puppet alliances," he remarked. Bilawal further said that it was the PPP that pulled the country out of crises in its every tenure.